Combine the flour, 2 teaspoons salt, and 1 teaspoon pepper in a large shallow plate. 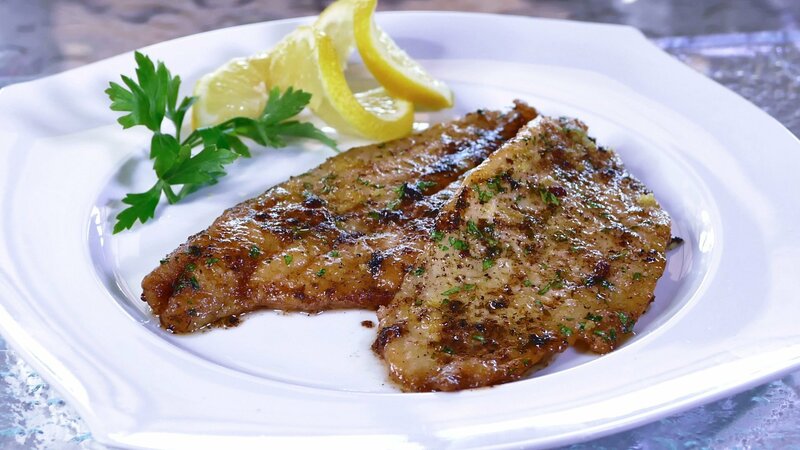 Pat the fish fillets dry with paper towels and sprinkle one side with salt. Heat 3 tablespoons of butter in a large sauté pan (10-12 inch pan) over medium heat until butter just begins to brown. Dredge fillets in the seasoned flour on both sides and place them in the hot butter. Lower the heat to medium-low and cook for 2 minutes. Turn carefully with a spatula and cook for 2 minutes on the other side. While the second side cooks, add 1/2 teaspoon of lemon zest and 3 tablespoons of lemon juice to the pan. Sprinkle with the parsley, salt, and pepper and serve immediately.